As mentioned, we love when people have such satisfying experiences at Hendrick that they come back. And each repeat visit or referral refuels these strong relationships that we’ve built with our customers, as well as the opportunities we find to build new relationships along the way. Because a relationship with Hendrick Buick GMC is more than just a car-buying experience. Because of our commitment to our customers and their continued satisfaction, our level of care extends well into your car-owning experience. 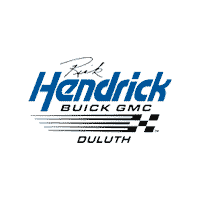 As a certified GMC dealer we take great pride in the level of service that we offer the Duluth area. We’ll touch on each one, but let’s begin the reason why you’re able to read this right now. That’s right, we’re talking about www.rickhendrickbuickgmcatlanta.com. Considering the significant expense of a vehicle purchase, is it unrealistic to expect that you should able to shop for a car without being assaulted by all sorts of pressure or tactics. While our friendly staff looks forward to the chance to help you, we want you to be comfortable in your choice of Hendrick without ever having to set foot on our dealership. Because shopping for anything on your time, and your terms, means the ability to do so with the swipe of a finger, or the click of a mouse. Whether on a phone, tablet, laptop or desktop, technology has afforded us the ability to take the bulk of the most exhaustive parts of the car-buying process and placing them at your fingertips. Our responsive website is a valuable shopping tool, lessening the challenge of researching the hundreds of vehicles in our inventory to find the perfect one for you. Each vehicle profile is a thorough depiction of its appearance, history and nearly everything you’ll need to buy with confidence. But here on our website, you can schedule a test drive, and apply for financing, if needed. Just think of how much time you’re already saving. Then, our team of skilled and certified technicians is here to help with any kind of scheduled, preventative maintenance or repair. But even better is the ease with which you can schedule everything right here online. While these may seem like small things when compared to the ever-more-accessible world that we live in, they have advantages that have been offered by Rick Hendrick for quite some time. We’re just glad you made the dash to catch up with us! GMC has experienced an abundance of praise in recent years due to the number of advances made within their lineup. With hundreds of new model year GMC offerings Hendrick is already setting you up for satisfaction. And you can get to searching for (or simply get to know) your dream car, truck or SUV, right here on our website. Merely open the vehicle profile and get all the information you could possibly ask for. You’ll even find our easily accessible shopping tools ready for you to put them to work. Whether you’re interested in a luxury SUV experience or getting behind the wheel of a truck that would be as comfortable in a suit as it is in overalls, GMC has the vehicle for you. 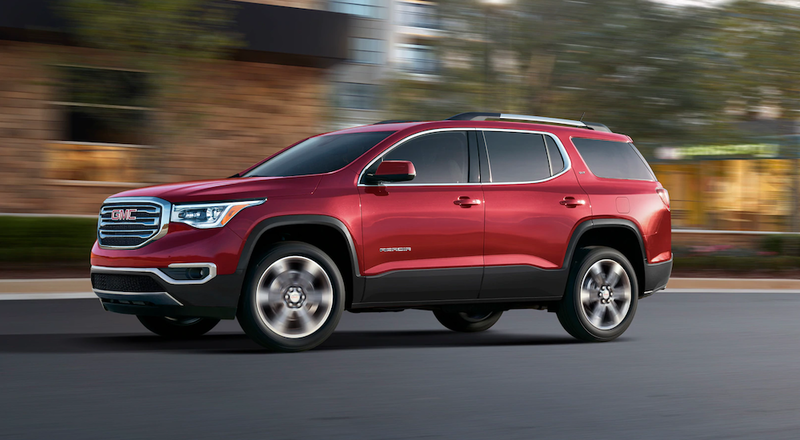 On the SUV side, our lineup includes the compelling Terrain, the celebrated Acadia and the ever-enduring Yukon. From base models to Denali editions, we can offer you the versatility that you need, combined with the comfort and luxury that you deserve. Equipped with the latest technology and the most evolved selection of amenities available, an SUV from the GMC lineup can remind us all to accept nothing less than a higher standard. And speaking of higher standards, GMC trucks exist to redefine what it means to be ‘professional grade.’ Simply put, our selection of Canyon and Sierras is designed to prove that “working class” and “high-class” are not mutually exclusive terms. Across the entire GMC truck lineup there are vehicles that can handle towing up to 23,300 LBS and offer up to 7,153 LBS in payload rating, with capabilities like this there is no task a GMC truck isn’t ready to tackle. Comfort need not be compromised, and the optional Denali upgrade reminds us all, that we can still look good doing it. And our vast selection of pre-owned cars, trucks and SUVs allows us to offer one of the widest and most diverse inventories out there. As with our new inventory, we aspire to provide you with both insight and visibility on all vehicles that we offer. This ensures that you can find the perfect fit and buy with confidence. Take a moment to explore our pre-owned inventory and we’re certain that you’ll feel the effort that we’ve put into it. Also, it’s worth reminding you that, as a Certified GMC dealer, we are proud to offer a selection of GM Certified vehicles. These specially qualified vehicles have met GM standards of excellence, and are offered with a number of perks, and extended warranty offerings backed with pride by both Rick Hendrick and General Motors, themselves. Whether you’re a do-it-yourselfer or need to schedule some service for your vehicle, our team is here for you. Our staff of factory-trained technicians, equipped with the state-of-the-art technology, are ready for any task and our parts is team is ready, willing and able to get you the parts that you need to get any job done. Finding the right financing solution is as important to the creation of a satisfying car-buying experience, as finding the right car at the right price. It’s no surprise that financing weights heavily on the minds of so many car-buyers. If you have yet to do so, we invite you to click on our Finance Tab, where you can apply for financing from the comfort of your own home, office or car. Eliminate the stress, that’s what we say! We never like to think of anything as ‘business as usual’. As such any visit to our website will inevitably lead you to our Specials Tab, which highlights any of the countless specials that we offer on New, Pre-Owned inventory and even some of our maintenance services. We recognize our important role in making you the most informed customer that you can be. As such we invite you to visit our research page where you can find an array of vehicle reviews and closer looks to offer some insight on what might your next vehicle! Certainly a helpful resource that you can cross-reference against your own research. These are not just words, to us. It represents the commitment that we make each and every day to our valued customers. Whether new or returning, we aspire to create a car-buying experience built around their needs, their time and their terms. Our customers deserve that, and we hope that you’ll come and experience it for yourself. After all, you made the right start by visiting this website…now keep exploring!